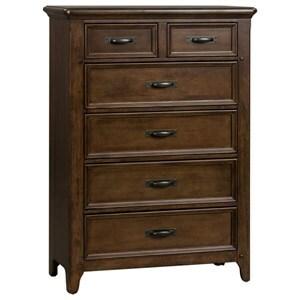 This lovely chest of drawers will add great storage space to your master bedroom. The piece features sturdy dovetail drawer construction, with dust proofing to keep your clothes free of dust. Antique finished hardware adds a touch of charm, while classic moldings and bun feet create a timeless style that will blend with your transitional bedroom decor. Available in a white or black finish. The Brook Classic 5 Drawer Chest by Elements International at VanDrie Home Furnishings in the Cadillac, Traverse City, Big Rapids, Houghton Lake and Northern Michigan area. Product availability may vary. Contact us for the most current availability on this product. Handles & Hardware Antiqued classic style hardware. Case Detail Classic moldings of solid poplar, bun feet. Drawer / Shelf Construction Drawers are constructed with French dovetail in front and English dovetail in the back, with drawer stops for ease of use. Drawer fronts are 15mm thick MDF, drawer back and bottms are made of plywood. Drawer Suspension Wood on wood drawer guides with rubber semi-circle drawer stoppers. Description: Top Tops and aprons made of poplar solid. Case Construction Solid framing with finger joints and corner blocked reinforcements. 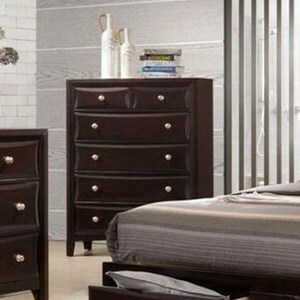 The Brook collection offers a charming modern-classic style for your master or guest bedroom. 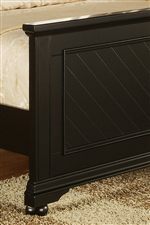 Clean lines create a timeless style, with simple moldings, planked detailing, and bun feet. 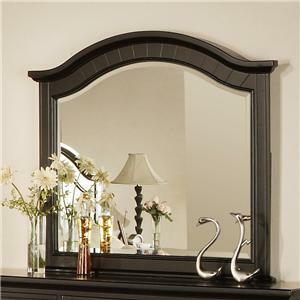 Antiqued hardware contrasts beautifully with the smooth lacquer finish available in white or black. Bring a touch of classic charm to your home with the Brook bedroom collection. The Brook collection is a great option if you are looking for Transitional furniture in the Cadillac, Traverse City, Big Rapids, Houghton Lake and Northern Michigan area. 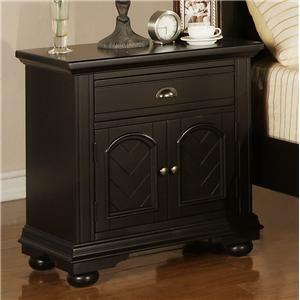 Browse other items in the Brook collection from VanDrie Home Furnishings in the Cadillac, Traverse City, Big Rapids, Houghton Lake and Northern Michigan area.